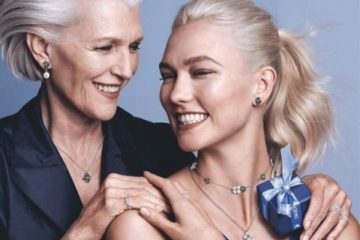 Supermodel Karlie Kloss turns up the heat for Carolina Herrera’s latest fragrance campaign. The leggy blonde poses in a retro inspired jazz lounge for the ‘Good Girl Velvet Fatale’ scent. Surrounded by well-dressed ladies and gents, Karlie poses in front of the lens of Serge Leblon. Described as an empowering and provocative scent, Velvet Fatale features notes of jasmine, tuberose, tonka bean and cacao.